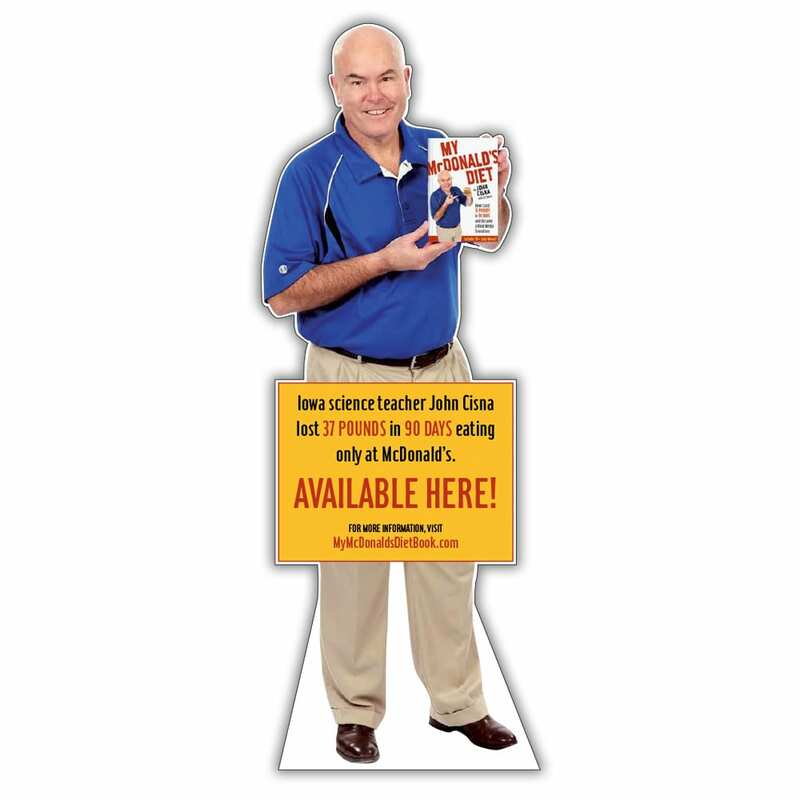 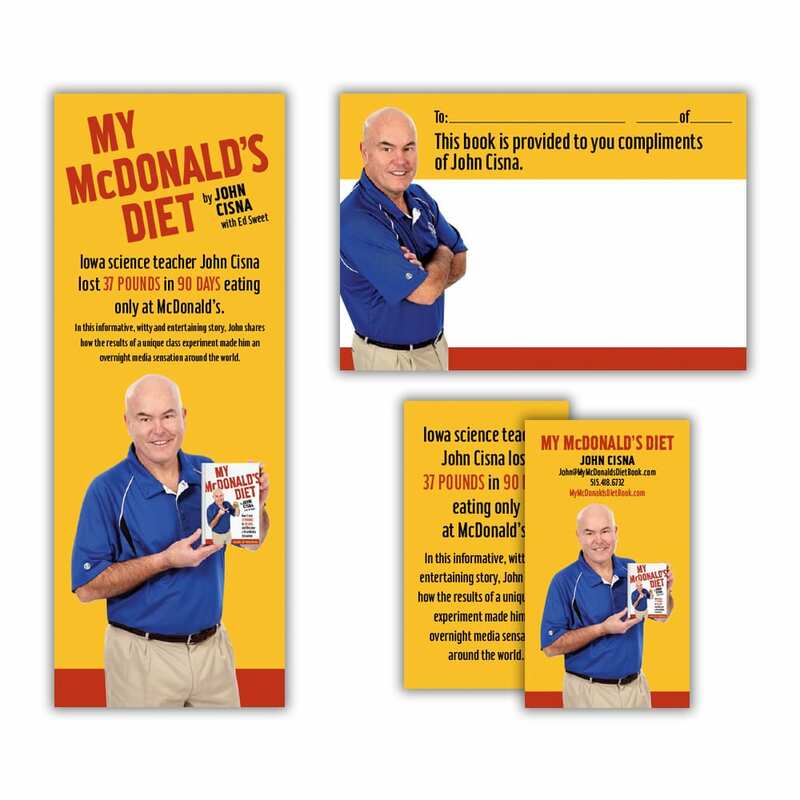 Print book, e-book and promotional campaign design. 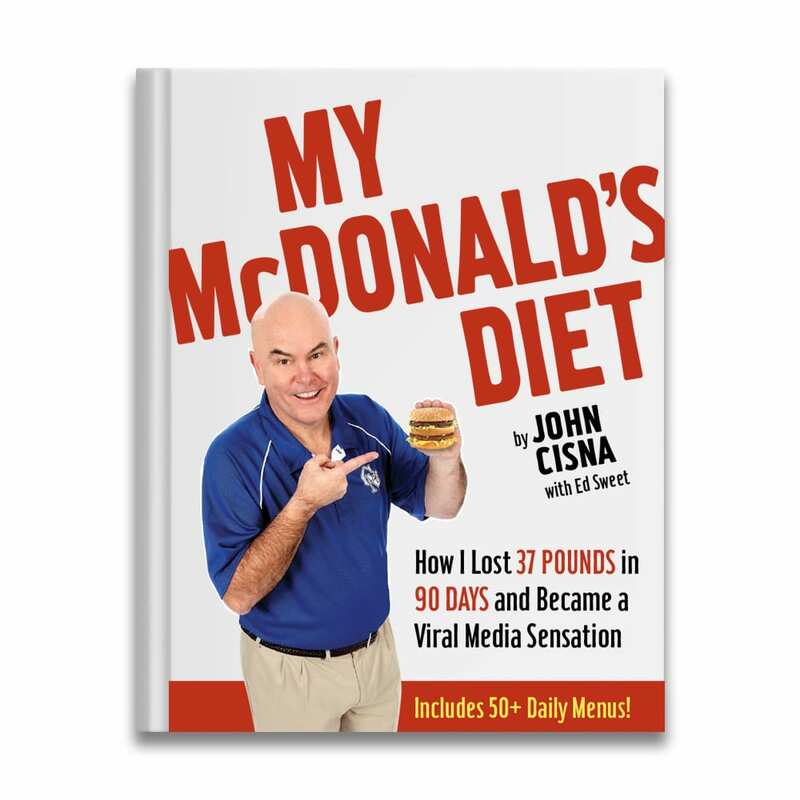 After John Cisna became an Internet sensation with his McDonald’s diet experiment, he wrote a book about the experience. 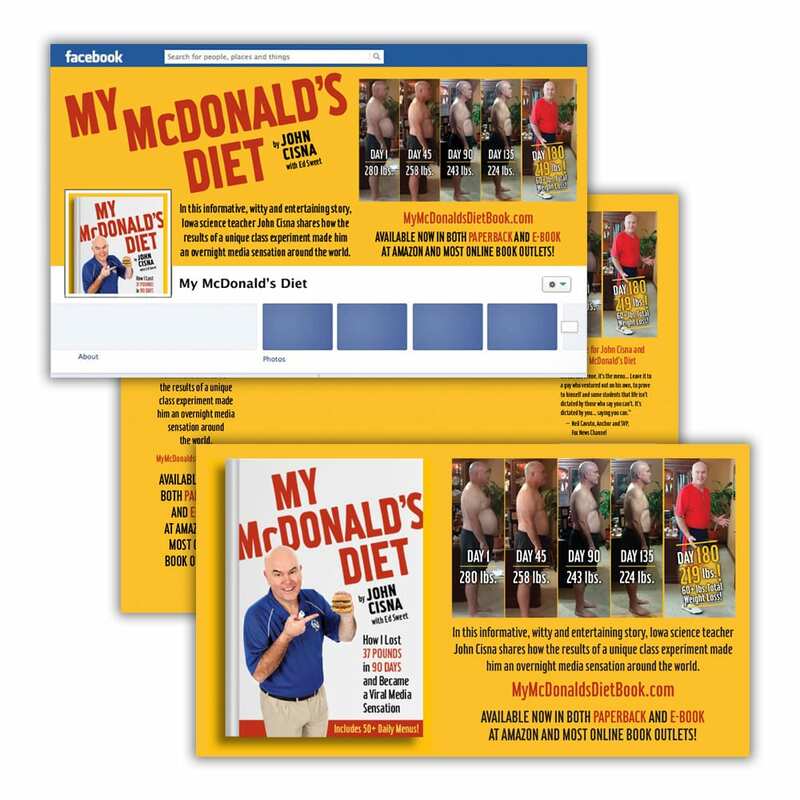 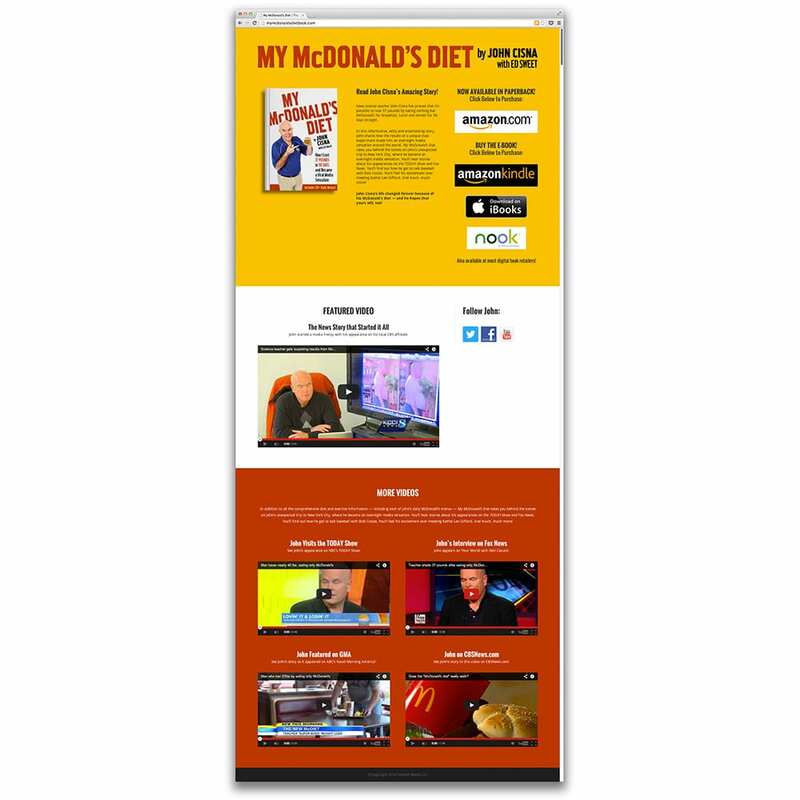 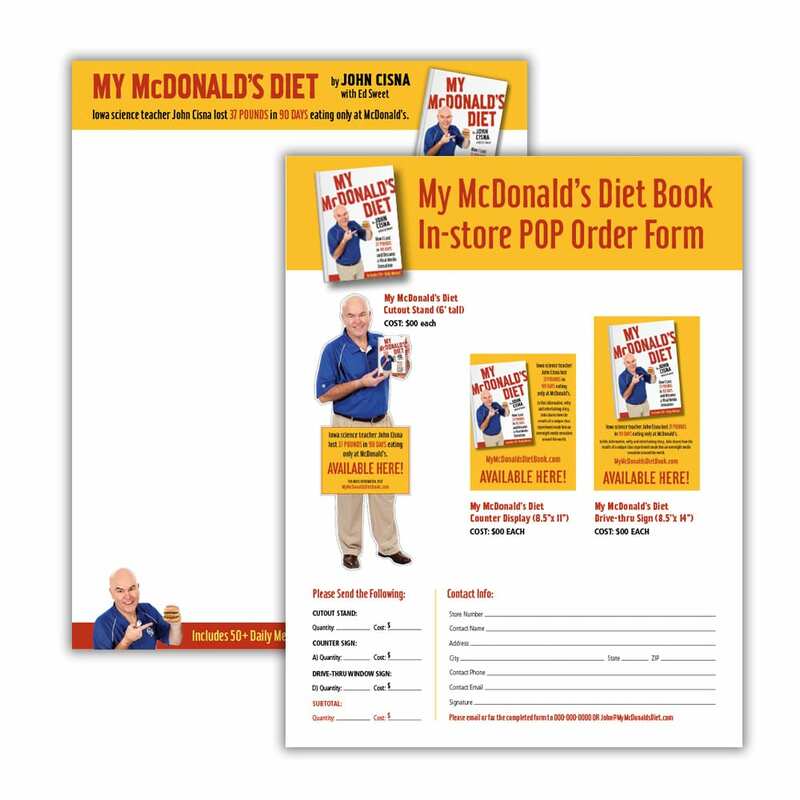 RJD Creative was hired to design My McDonald’s Diet in both e-book and print formats, as well as create a promotional microsite, Facebook page and YouTube channel. 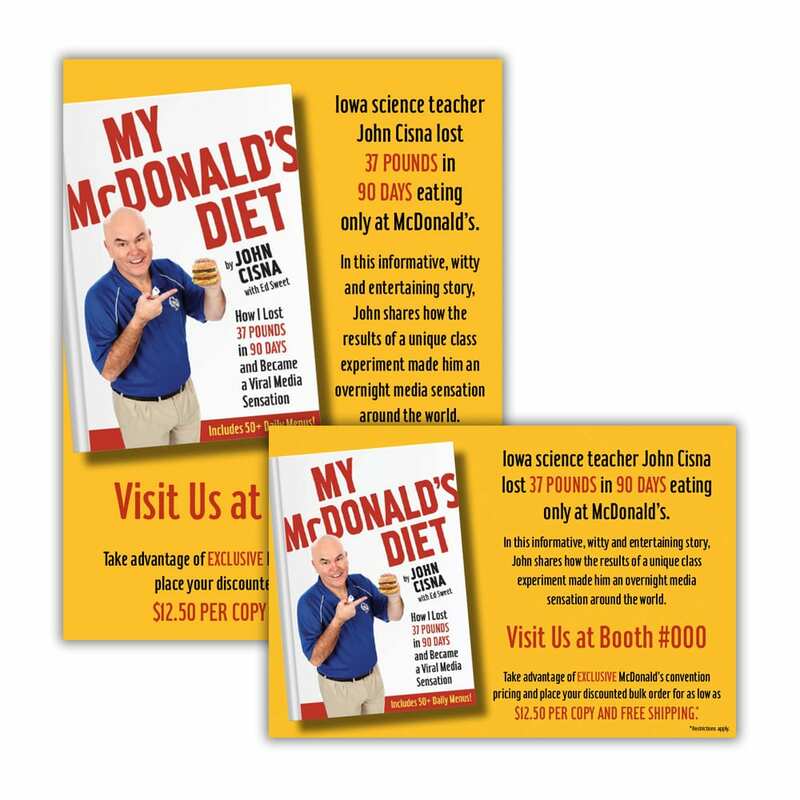 We also created a variety of print collateral to promote the book launch, including identity materials, sales sheets, book signing stickers, bookmarks, and a point of purchase display.